- Fabricated with high quality stainless steel material. - Used for various works in kitchen (cutting, food preparation along with washing). - Customized as per requirement. 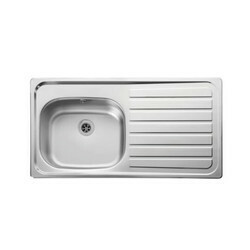 We are lead manufacturer, supplier and exporter of wide range of Dish Washing Table Sink. It also consists of work table with sink. 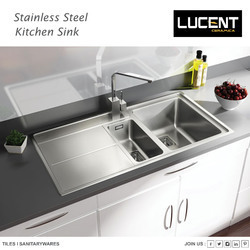 Owing to our in-depth knowledge in this domain, we are specialized in providing Commercial Steel Sink. In order to cater the numerous necessities of the patrons, we have been able to provide a wide range of One Compartment Steel Commercial Sink.